One of Carnival’s top-selling cruise ships of 2017, Carnival Fascination, is due to undergo a miracle makeover before she resumes service in February this year. The transformation will add a variety of popular Carnival bars, lounges and restaurants to tie in with other members of the fleet. Additions include the ever-popular Guy Fieri inspired dining venue, Guy’s Burger Joint, which has been personally developed by the Food Network star himself! The BlueIguana Cantina will also be featured on-board Carnival Fascination, serving up delicious Mexican fare. From tacos to burritos, this is a casual dining experience everyone will want to try. Another new introduction is the on-board seafood and soy sauce spot, Bonsai Sushi Express. 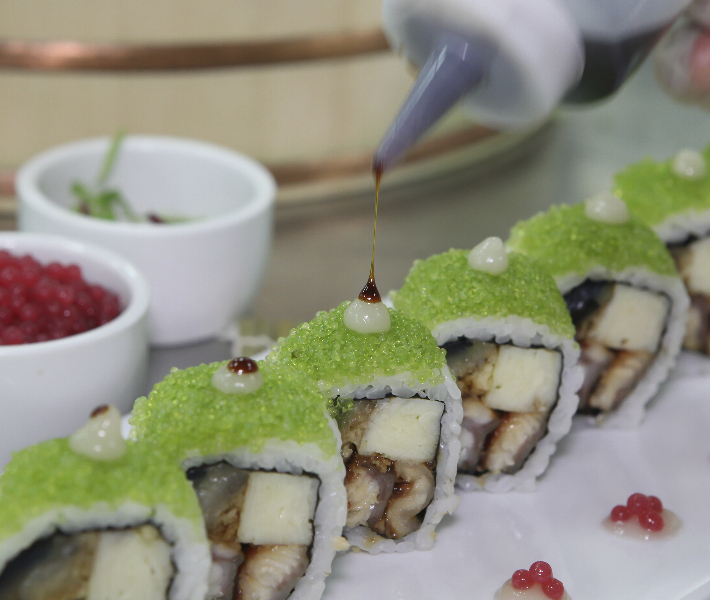 With an affordable menu of delectable sushi and sashimi, all of which can be freshly packed up and enjoyed elsewhere! Carnival Fascination will also boast some new and innovative bars to enjoy a tipple in, including the poolside RedFrog Rum Bar, BlueIguana Tequila Bar and the pharmacy-themed cocktail bar, Alchemy. The RedFrog Pub on Carnival’s other ships has been a real hit with guests enjoying the Caribbean vibes from the venue. This has been adapted and brought poolside to the RedFrog Rum Bar, which features a wide selection of Caribbean rum-based drinks available in glass or pitcher sizes. The signature Carnival private-label draft beer, ThirstyFrog® Red, will also be available. 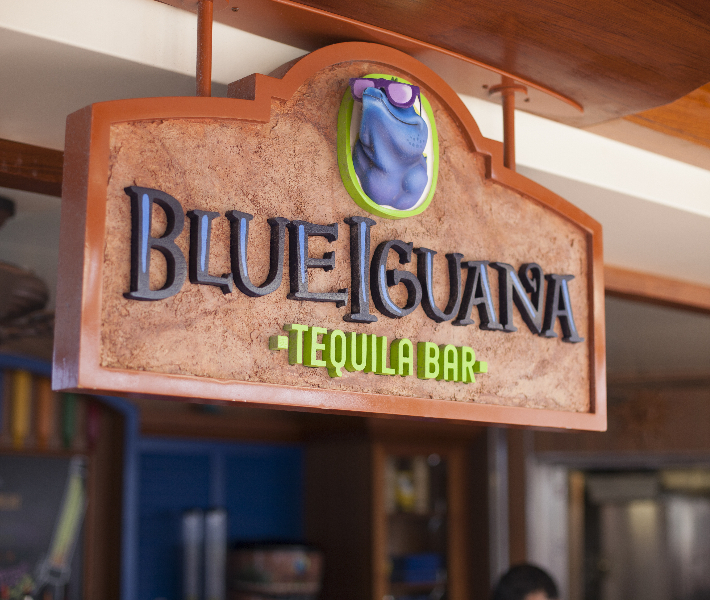 Inspired by Mexico, the BlueIguana Tequila Bar is the place to be and enjoy a slushy tequila drink or ice-cold Mexican Cerveza. Sample the menu during a visit and try one of the many brands of tequila and Mexican brews. Or, try the Alchemy bar – a magical venue inspired by a vintage pharmacy, where you can create your own concoction from a variety of unique ingredients. The ship’s new additions perfectly complement popular attractions such as the WaterWorks aquapark (which features a 300-foot-long Twister slide and Dr. Seuss at Sea) and many entertainment options such as the Punchliner Comedy Club, Playlist Productions shows and Hasbro, The Game Show. These new venues will be installed during a two-week dry dock from 4th February in the Bahamas, before the ship continues its year-round schedule around the southern Caribbean. These additions make us want to book a place on Carnival Fascination right now; enjoying the new facilities and wonderful dining venues. Fancy booking your own trip on-board? 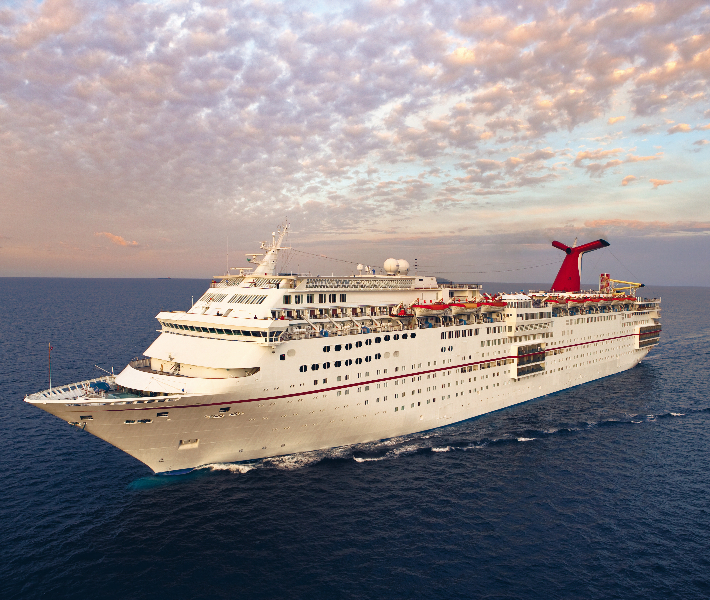 See our fantastic range of Carnival Cruise Line deals here.